Kim Norris’ beginnings were small, committing his life to Christ in a small store front church in Indianapolis at the age of 16. While attending Indiana University in pursuit of a Bachelors in Education, he quickly became connected with the Reverend Kirby Tiller and his college ministry. Doors opened for him to preach and the outpouring of the Holy Spirit marked his time of ministry there. Kim like many however, was hurt by offense in his early twenties. He disconnected from his church family. Kim was quickly caught in the trap of addiction. Through forgiveness and the help of his spiritual father, Reverend Tiller, all addiction was broken off and he reconciled with the leadership within the body. Kim Norris now understood anyone could fall into the traps of the enemy. On the road of his recovery he fell in love with Reverend Tiller’s daughter, Renee. They married in 1977. Shortly after, they spent the next four years travelling coast to coast preaching the good news of the gospel. On the way back from New York, the Lord spoke to Kim. He and Renee were to move back to Bloomington and help her father in the ministry. The Lord was calling them to build the church; to build their family. The next two years they pastored Cherry Hill alongside Reverend Tiller. In 1984 they were made the senior pastors. 30 years later they are seeing the fruit of their faithfulness in shepherding the body of Christ. They had the great pleasure of handing over the senior pastorate of City Church For All Nations to their eldest son and his wife. City Church is a growing and thriving church in Bloomington Indiana. Pastors Kim and Renee have come full circle from their early years of traveling to travel again all over the world bringing the good news that Jesus is alive and he still saves. 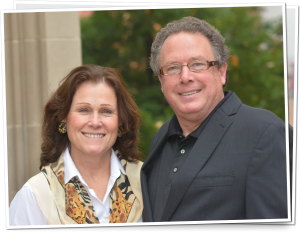 Pastor Kim has sown over 30 years into the destinies of individuals and ministries. The fire of evangelism has burned bright in the ministry of Pastor Kim. His heart has been to see people healed and restored through the power of Jesus Christ. Having struggled with addiction himself, he has compassion for those who are trapped and disconnected. In 2002 he obtained his Masters in Counselling adding yet another level of depth to his understanding of others and how to help them overcome. Over the years he has been to 12 different countries preaching, teaching and healing as well as bringing humanitarian aid. These times oversees and within the United States have given him a resolve to proclaim the name of Jesus everywhere and anywhere. His heart is also for ministers. With 30 years in the pastorate, he knows how important it is to be encouraged and strengthened. Pastor Kim is a father, not only to his biological children, but to the many ministers he has and is raising up. He has focused his ministry around the generations to come, mentoring and giving of his time, knowledge and prayers. He is burning with a passion to see individuals and ministries finish the race; to fulfill their destinies. Kim Norris brings an incredible sense of God’s presence to the house! A man of deep prayer, Kim is in touch with the heart of God for His people. I was immensely blessed by his investment into my leadership and my people as a whole. Kim has a tremendous anointing upon his life in the gifts of the Spirit; he is an authentic and compassionate example of a man who walks in the anointing. He even guarded his personal prayer time while he was with us! The fruit of that came out as each service built upon itself! Kim is a “must” for your ministry, if you’re looking for a powerful experience in the presence of God. I have ministered with Pastor Kim Norris internationally, and we have had him minister here at Livingway Family Church. He always preaches with great anointing. His ministry is drawing thousands of people to Christ. I know Kim will bring fresh insight to your church and cause spiritual and numerical growth to take place. Pastor Kim is a man of integrity, a great family man, and a true pastor. I know he will leave a deposit that will continue to produce eternal dividends for years to come.